To be installed in kitchen and attached to the water tap. Single stage water filtration system. 05 micron hole diameter can efficiently filter out any matter with the diameter lager than its hole diameter including sand, rust, mud, sediment, etc. in water. CTO carbon block filter can removal of chlorine, taste, odor and other chemicals contaminants. 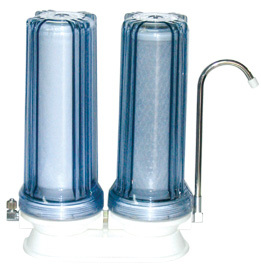 * This kind water filter is Standard Filter Cartridge Replacement,so you also can uses another filter to replace the PP Filter,if you want get the most better water quality.